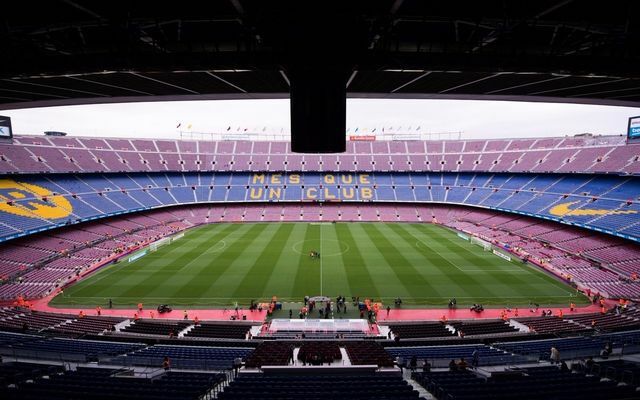 Barcelona pair Jasper Cillessen and Sergi Samper have been ruled out of action just days after the club kicked off their latest La Liga campaign. The Blaugrana got off to the perfect start in the new season with a 3-0 win against Deportivo Alaves on Saturday, thanks to two goals from Lionel Messi and a Phillipe Coutinho strike. The Spanish giants will once again be fighting on all fronts for trophies this season and supporters will hope that the team can not only defend their league title but also knock Real Madrid off their perch in the Champions League. Sergi Samper is a product of the club’s famous youth system and spent the last two years out on loan, before returning this summer hopeful of finally breaking into the senior squad on a permanent basis, having only featured 5 times for the first team to date. Jasper Cillessen was signed from Ajax in 2016 as a backup goalkeeper behind Andre ter Stegen and has only managed to make 21 appearances so far for the club during his two-year stay at the Camp Nou. Both men could now be unavailable for manager Ernesto Valverde in the coming weeks after suffering injuries in training. 23-year-old Samper sprained the ligaments in his ankle and 29-year-old Cillessen has suffered damage to his ribs, according to ESPN. This latest news will come as a blow to Valverde in terms of squad depth particularly in goal as Ter Stegen is now the only senior level ‘keeper available for the Spanish coach. Barcelona’s next league game is away on Saturday against Real Valladolid, where they will be expected to pick up another three points to continue their strong start to the 2018-19 campaign.